As I’m constantly saying to Visual Practitioners “your development is not magic, its mileage, mileage and more mileage” … meaning you need to put in the work if you want to enhance your skills and develop your overall confidence. Ready To Go To The Next Level With Your Visual Practice?! 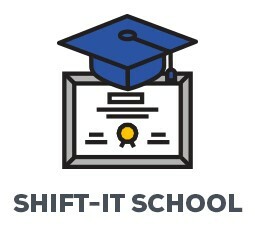 Over time, through my SHIFT-IT School, I’ve developed a thorough curriculum to assist Visual Practitioners and other Process Professionals … whether you got your initial training through me or elsewhere. FYI, we have four advanced courses in 2019 that help you take your skills to the next level, build your practice (whether you are internal or external) and broaden your offerings to make you even more valuable out in the world and marketplace. This Is The Online Version Of Our Advanced Mastermind For Visual Practitioners. Over The Course Of 15 Online Sessions You Collaborate With Me And 10 Fellow Visual Practitioners From Across The Globe. Up Your Visual Skills, Boost Your Client Base, Move Into Additional Applications And Offerings, Finish That Website, Program Or Book You’ve Been Stuck On, Deal With Your Perfectionitis And Comparisonitis Issues, Plus Sooooo Much More! Limited To 10 Members To Ensure Individualized Attention And Cohort Bonding. Europe: evenings, AustralAsia: early risers! Prerequisite: Fundamentals of Working Visually or Equivalent Experience. 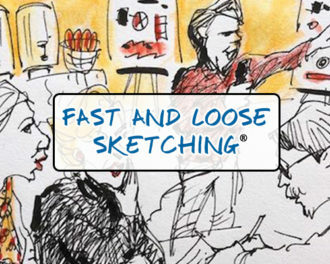 Two Niche Experts Help You Draw Better And Faster: Christina Merkley (GR/GF) With Rhoda Draws (Caricature And Urban Sketching). Designed For Process Professionals To Further Develop Drawing Skills And For Artists To Adapt Skills For The Fast Graphic Recording / Graphic Facilitation (GR/GF) Medium. Includes Online Forum For Assignments And Feedback. AustralAsia: Mornings Europe: Night Owls! Prerequisite: None although Fundamentals of Working Visually or Equivalent Is Helpful. The Niche Within The Visual Niche! 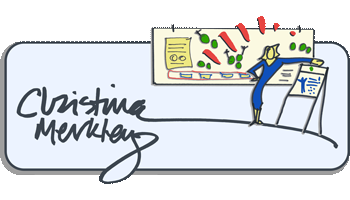 Expand Your Offerings To Work Visually With Individuals, Partners, Families And Teams. For Process Professionals Who Work With Individuals: Leaders, Managers, Human Resources, Consultants, Therapists, Coaches, Counselors, Financial Advisors And Other Helping Roles. Now Includes 40 Visual Coaching Tools: Plus Training And License In The SHIFT-IT Visual Coaching System® and Guidance In Applying The Visual Methods To Your Own Unique Ways Of Working. Prerequisite: Fundamentals of Working Visually (or Equivalent) and The SHIFT-IT System. This Is The In-Person Version Of Our Advanced Mastermind. Spend Three Days In Beautiful Victoria, British Columbia, Canada In An ‘At-The-Wall’ Intensive With Fellow Visual Practitioners. Different Every Time And The Emergent Agenda Is Based On The Needs Of Cohort Members. Powerful Lab To Bust You Through To Your Next Level Of Outer Skill And Inner Confidence. Limited To Just 10 Members To Ensure Individualized Attention And Cohort Bonding. I look forward to helping you bust through to your next level of growth and abundance. Inquiries: Contact us at admin@shift-it-coach.com or 1-866-925-2351. P.S. For an overview of our full 2019 curriculum, click here.